This week California’s State Water Resources Control Board adopted important new rules to protect the state’s remaining wetlands resources. Enacted after over a decade of Board hearings, workshops and deliberation, those rules are overdue, welcome and critically necessary. Their adoption is particularly timely now, given the Trump Administration’s wholesale assault on and erosion of federal programs designed to protect our nation’s wetlands under the federal Clean Water Act (CWA). The new California rules, adopted unanimously by the Board on April 2nd, create a new, statewide definition of wetlands. They are also designed to provide consistency in the way the State and nine regional Water Boards limit and/or preclude development of wetlands, bays, estuaries and coastal lagoons. Critically, the state regulatory program also protects seasonal wetlands and vernal pools that don’t qualify for federal protection under applicable federal court decisions. Decades after former California Governor Pete Wilson declared a state policy “no net loss” of California wetlands, the newly-adopted Board rules formalize that policy and, indeed, promote an increase in the quantity, quality and sustainability of state wetlands. The Board’s action comes none too soon. 170 years of filling and development projects have reduced California’s historic wetlands resources by 90%. The depletion of the state’s coastal wetlands is even more alarming: fully 95% of California’s coastal wetlands have been destroyed. It was only in recent years, after the vast amount of this environmental destruction had already occurred, that scientists, policymakers and the general public came to realize the multifaceted ecological and human benefits of wetlands. They provide flood protection, filtration of water pollutants, surface and groundwater supplies, wildlife habitat, open space, public recreational opportunities and more. Many observers thought that Congress fixed this problem on a national basis when it passed the federal CWA in 1972. Specifically, section 404 of the Act created a new federal regulatory program, jointly administered by the U.S. Environmental Protection Agency and the U.S. Army Corps of Engineers, to regulate and limit the “dredging and filling” of American wetlands. But the CWA’s so-called “404 program” was mired in controversy and litigation from the start. Nearly a half century after its creation, the 404 program has been one of the most heavily litigated–and certainly the most politically contentious–feature of the entire CWA. A key problem is that the Act fails to contain a clear legal delineation of what are, and are not, wetlands subject to federal regulation. That has left this critical, threshold issue to be debated and contested on a case-by-case, project-by-project basis. The nadir of this national state of affairs was the U.S. Supreme Court’s infamous 2006 decision in Rapanos v. United States. In that case, no five justices could agree on the legally-applicable definition of “wetlands” under the CWA. Recognizing the regulatory and public uncertainty that would result from the Court’s non-decision in Rapanos, Chief Justice Roberts in a concurring opinion criticized federal regulators’ prior unwillingness to promulgate a regulatory definition of wetlands and implicitly entreated them to clarify the situation prospectively. That didn’t happen, for nearly a decade. The George W. Bush administration never mustered the political will to try, and the Obama administration didn’t bother to do so until near the end of its time in office, when it adopted the so-called “Waters of the United States” (WOTUS) rule in 2015. Multiple federal lawsuits challenging the WOTUS rule followed immediately. And it simultaneously became a political football, especially in the 2016 presidential campaign. Fulfilling a campaign promise, President Trump signed an executive order a month after his inauguration directing his staff to repeal the Obama administration’s WOTUS rule and replace it with one that is much more developer friendly and quite inhospitable to national wetlands. That rulemaking process is underway. Hamilton Wetlands Preserve, Marin County, CA. Photo courtesy of Marin Stock Photo. 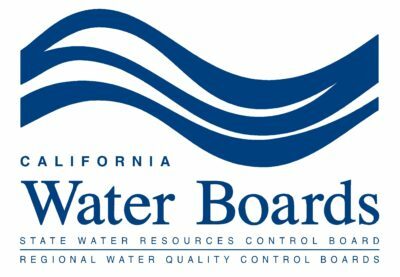 Two final points: first, this was the State Water Resources Control Board’s first important formal decision since the five-member Board was reconstituted in the first month of California Governor Gavin Newsom’s administration. Many observers wondered if Newsom’s replacement of former Board Chair Felicia Marcus portended a less environmentally-sensitive Board in the future. So far, so good: last week’s vote on the new state wetlands rules–adopted in the face of fierce opposition from the developer and business communities–is an encouraging early sign that those fears may have been misplaced. Kudos to the State Water Resources Control Board for its adoption of new state rules to preserve California wetlands, thereby trumping the Trump administration’s efforts to weaken wetlands protections. That strategy should be replicated by California lawmakers and regulators in a variety of other environmental contexts, to fill the regulatory gaps being left far and wide by the Trump administration. The Legal Planet team appreciates your comments, and reserves the right to remove any abusive or off-topic remarks as it sees fit.